"The church has been restored several times since but the original appearance is maintained." I can sense that time that almost everyone was looking at me. I was a bit shy but I don't want to make this opportunity to pass. I know, I am looking like a stranger that moment and I can't help my self but to smile and look amazed while seeing the Tagudin Church, an architectural masterpiece in this town located at the southern part of the province of Ilocos Sur. I keep on taking photos, I know my behavior was unusual. No one was doing it this time. I mean, the taking-photos-obsession thing. Obviously no one in that place that moment was taking photos and I am quite sure most of the people inside the church premises are residents of the town. 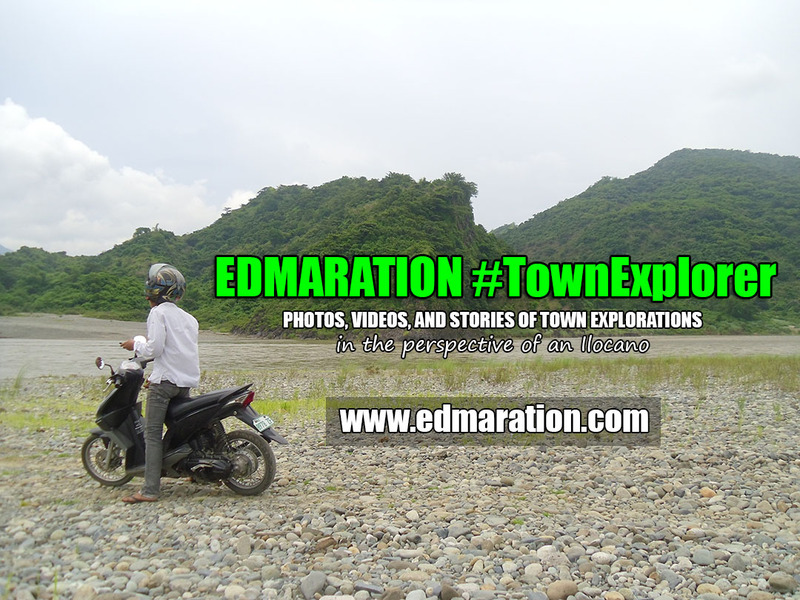 I tried to act as if I am living in the town but I just can't hide how I was amazed seeing a new destination. The facial expression of being a newbie to see the place was hard to conceal and I just can't resist to ask and talk with the people about several questions and curious lingerings in me. Most of the people sitting near this church were parents and guardians waiting for their little kiddos to finish their school lessons for the day. 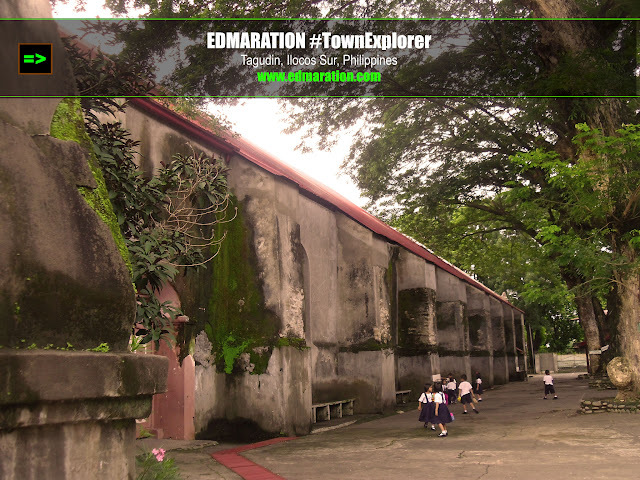 The name of their school is St. Augustine School while the name of the Tagudin Church is St. Augustine Parish Church. 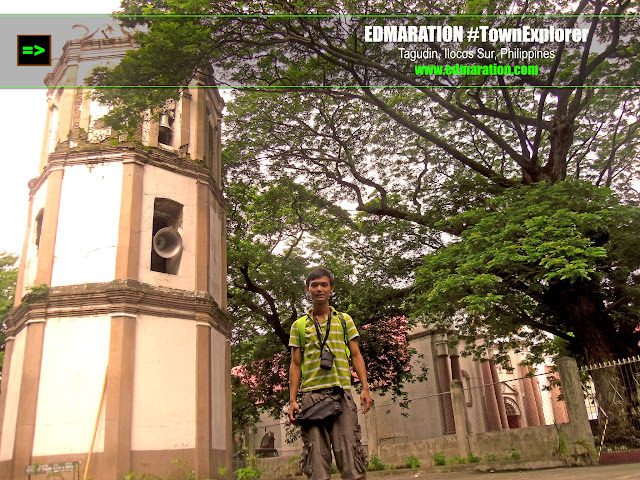 Within the premises of the school is the other Tagudin Sundial, the oldest sundial in the Philippines on which the school is taking care of. The church is not located in a place so that it can be very visible to everyone. Although the church compound is located along the road, the church does not stand out in the town because it is hidden by some trees and you still need to enter the gate for you to fully see the structure. I wanted to take my own photo with the church as the background but I became shy when almost all eyes have been focused to me. As I said, taking photos of the church seems like not common there. The belfry is located several meters away from the church. Tagudin Belfry has its own gate and fence. It has 3 layers and the bells are placed at the 2 higher layers. The belfry is octagonal in shape, also hidden by huge acacia trees. Those acacia trees were huge that the belfry is almost covered from my previous location at the church yard, just in front of the church. The trees soar as high as the 3-layer belfry. So I need to walk close to the belfry to see it wholly. The belfry is guarded with another fence and gate. I was thinking that I have to ask a permission but the gate was open and no one was around. Much better! The belfry looks better up close. It has been painted but the paint was not enough to hide how old the belfry is. One can still see the oldness of the belfry once you see it up close. Hmmmm. Lovely bells are there! Of course, I want to take my own photo with the belfry as the background as souvenir photo until I saw a lady inside a building in front of the belfry smiling while looking at me. She was alone and I can see she was about to laugh. I was doing a pose with the camera on a self-timer mode and I suddenly became conscious. I was feeling that time that taking photos there is unusual or strange really. So I am landing into a conclusion that people who take photos there is uncommon. Well, to note, the town is not a popular tourist attraction. Taking photos while being amazed could be unusual as compared to popular places where taking photos is a must and people won't care about you even you will pose 100 times. 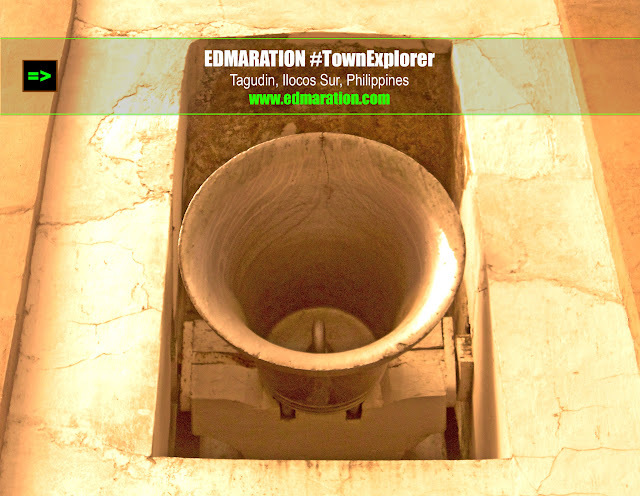 The history of the construction of the church is based on a document (an official report) of the 24 cabeza de barangay of the town of Tagudin and the governor of the Ilocos Sur province in 1829. 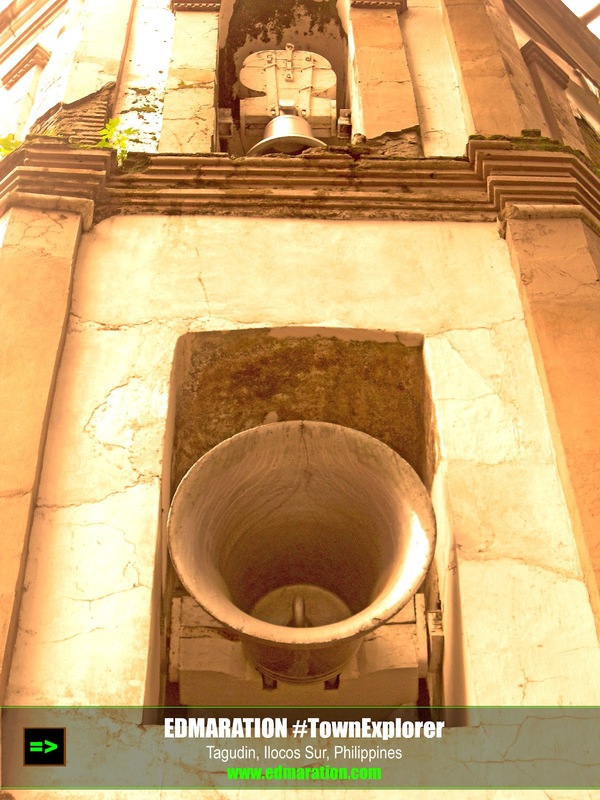 The report states that the church was built by a priest named Father Gutierez while he was still a priest of another town in La Union called Bangar. The wall was finished in two years time. 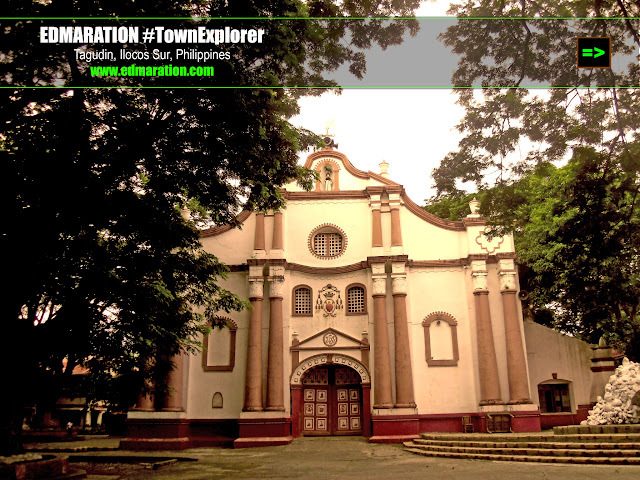 The construction of the church was continued by another priest named Father Franciso Hernandez in 1816. 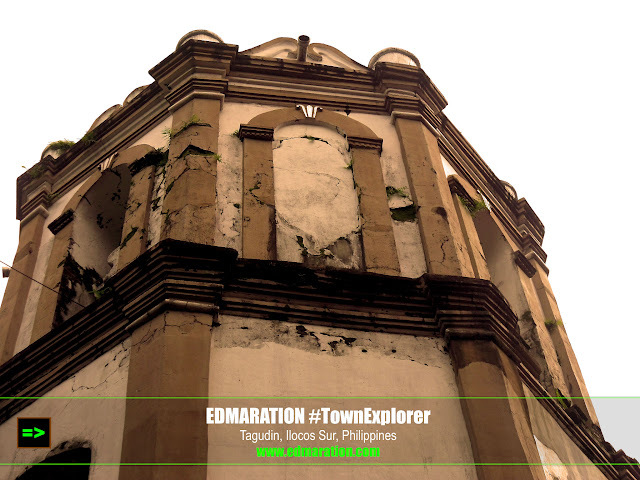 The said priest died in 1821 and that time, Tagudin Church was almost finished. Other cited document states that the church's vault, interior and presbytery were not yet completed as of 1829. The church was made of stones and brick and measures 40 brazas long and 8.5 brazas wide which are equivalent to 66.80 meters and 14.19 meters respectively. 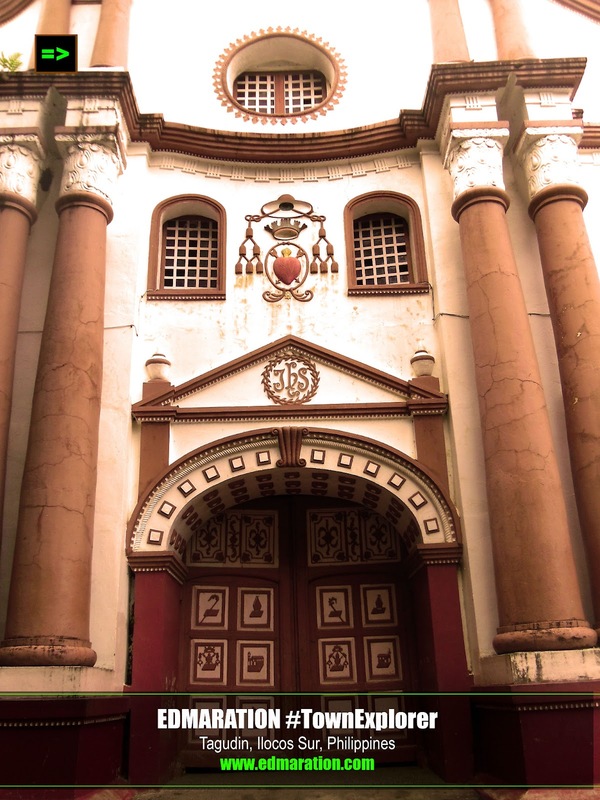 The construction of the church was completed by Father Juan Sorolla, the prior of Tagudin in 1832. He is the same priest who installed the Tagudin Sundial, the only sundial used by the Spanish people in the Philippines when they colonized the country. 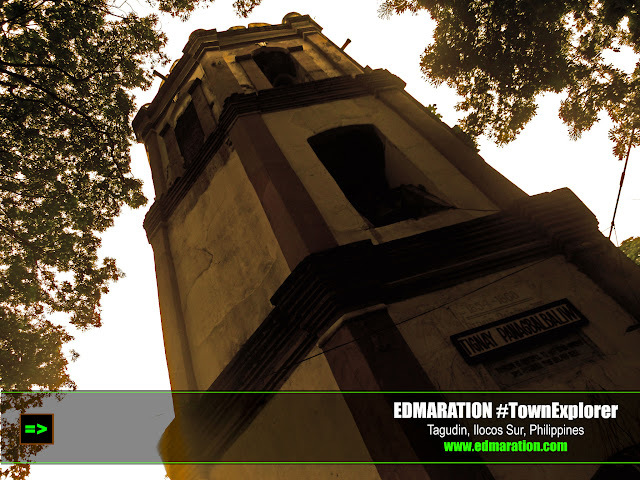 It is also the first and the oldest surviving sundial in the Philippines. The church belfry, however, was built later on. Another priest named Fr. Geronimo Rubio built the slender belfry in 1881. Father Mariano Ortiz made some restorations in the church in 1880. The church has been restored several times since but the original appearance is maintained. The façade of the church pervades a clear Baroque style. It has huge main door which is arched elliptically. It has Augustinian symbolisms crowned by a triangular pediment of Baroque influence. If you are a conspiracy theorist, I am sure you will tend to be particular with the symbolisms. But I would prefer not to discuss it here because not every reader has the same way of thinking like the way conspiracy theorists do. 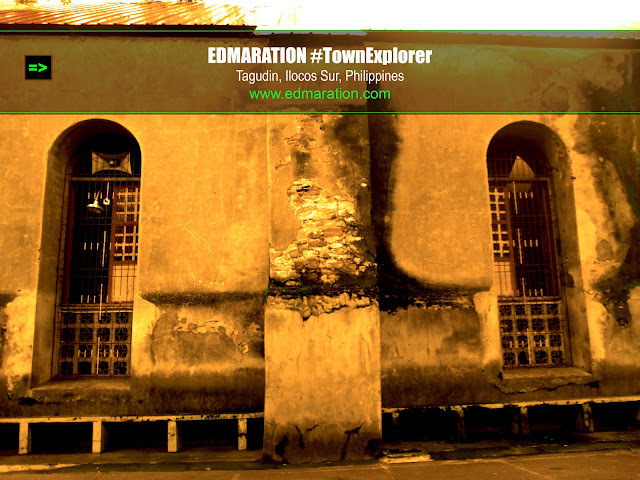 Tagudin Church is the southernmost structure with Baroque Architecture in the Ilocos provinces. Large and sensuously rounded, paired columns with double capitals flanked at the sides of the main entrance. Some accounts state that some of the designs are Greek in origin as embodied to some of the decorations placed at the façade. The impediment has broken lines, very common features of the Baroque. 1814 (? ): This date is not certain. But according to the report of the 24 cabeza de barangay of Tagudin and the Ilocos Sur governor in 1829, the phrase "he was prior of Tagudin" was referring to Fr. Gutierez, the one who started the construction of the church. The document further states that the walls of the church was completed in 2 years time until it was continued by another priest in 1816. So, 1816 minus 2 years is 1814. I don't know what happened to Gutierez that the construction of the church was handed to another priest. 1816: The church construction was continued by Fr. Franciso Fernandez. 1821: Franciso Fernandez died, the church is almost finished. 1832: Father Juan Sorolla completed the construction of the church. He also built the convent now used as a school bulding of St. Augustine's School and the 2 Tagudin Sundials (1841, 1845). 1880: Fr. Mariano Ortiz made some restorations in the church. 1881: Fr. Geronimo Rubio built the slender belfry located west of the church. This post does not promote, protect, or support any religion. This post aims to educate the readers about our history, appreciate our heritage and to promote tourism. Religious belief/preference has no bearing in this article. 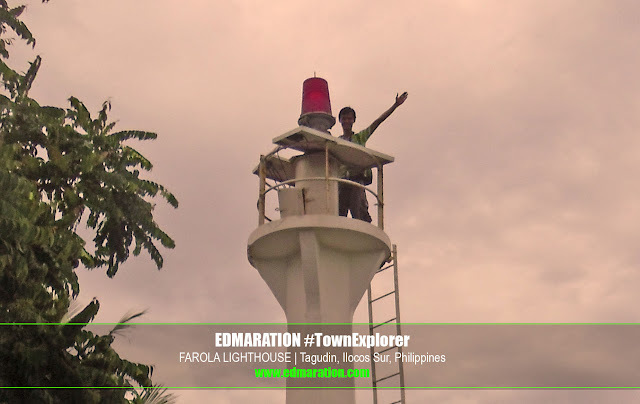 Subject: FAROLA LIGHTOUSE, still in Tagudin town. 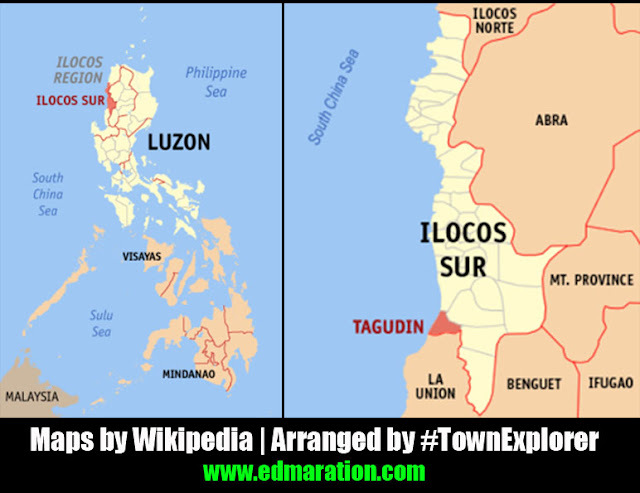 Learn how Ilocos is linked to Belgium! Wen ngarud. When the place is not a tourist spot, it is "not cool" to have photos taken. Hahaha. But sometimes I do not care, especially if the place is really nice. Ding Fuellos | Usto ta kunam sir ;-) Pero Gah! Naconscious ako ng bigla dito. lol. interesting photos of the building structures. i like lighthouses. i am also interested in dark symbolism. what do these symbols on the church mean? fifileigh | It is a long story fifi. You need to learn more about the roots or else you won't understand or you'll tend to consider it as an urban legend :) I don't know about you, but personally, I have my own line of belief as the things are consistent in our history. where on earth (Ilocos ) is this ... 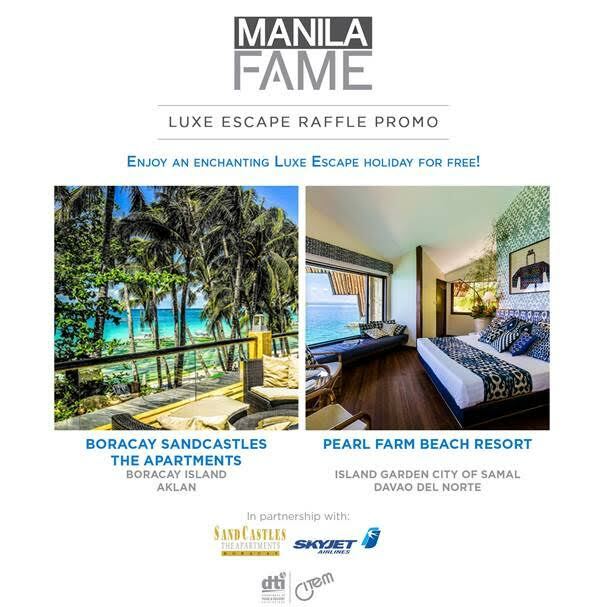 I did not encounter this on my trip there....so babalik ako ??? lepanto.born.and.raised | ► Hi there kabsat. Naimbag nga aldaw mo. Yes. Please do visit Ilocos Sur. 2-3 hours away na lang from Cervantes via van.